At 8:00 am of January 22, America Eastern Standard Time, Fortune's Most Admired Companies in the world in 2019 was unveiled. 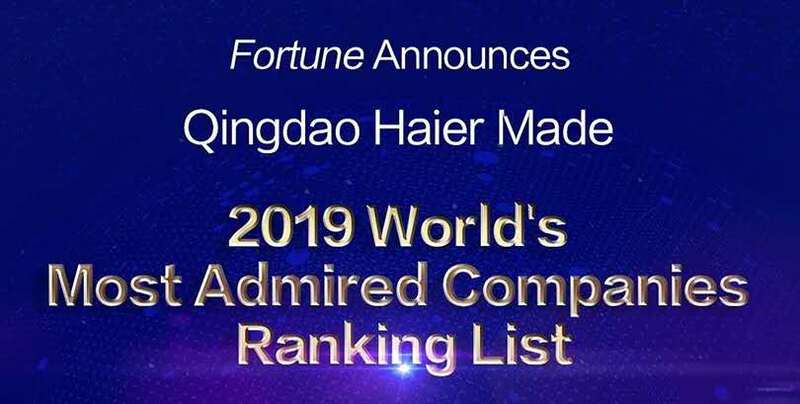 Qingdao Haier is named one of Fortune’s most admired companies in the world in 2019 and is the only appliance company from Asia to receive this award. In total there are 680 companies from 30 countries credited in Fortune's list of the world's Most Admired Companies. The list is finalized in terms of such nine criteria as: investment value, management quality, product quality and service quality, social responsibility, the ability to attract talent, creativity, the stability of financial status, reasonable use of assets, and the efficiency of global operation. January 10, 2019, according to Euromonitor International, the world's authoritative research organization, Haier ranks number one in volume sales of major appliances brands in the world in 2018, making Haier the No.1 brand for 10 consecutive years. Haier has achieved the transition from its leading role in global home appliances market into a leading ecological brand for IoT smart home. 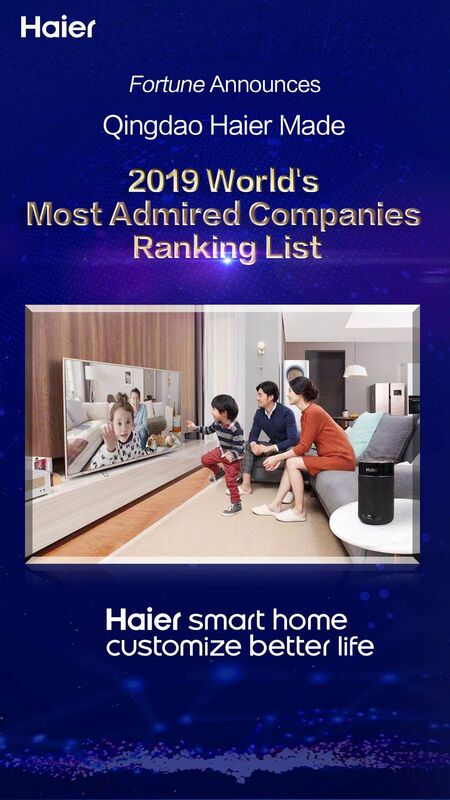 As the only Asian home appliance company, Haier has entered the World Most Admired Companies List, which fully indicates that Haier Rendanheyi Model has ascended to a top-notch model in IoT era.